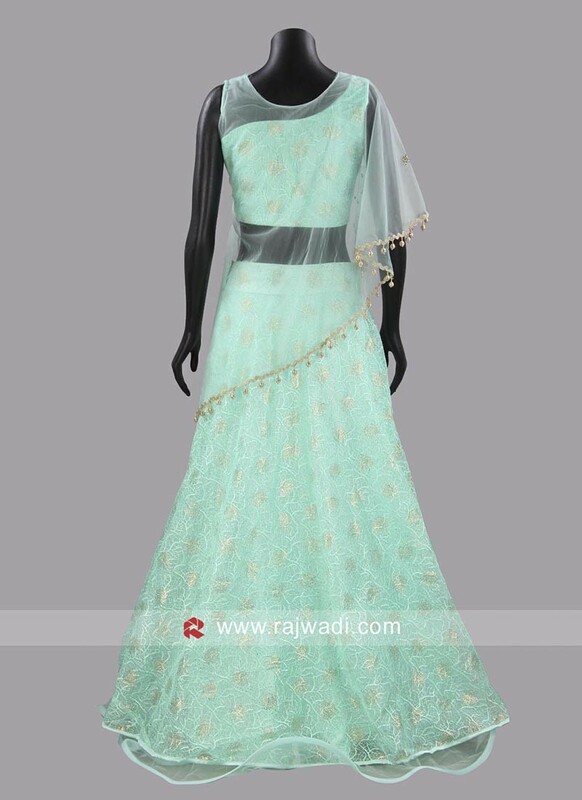 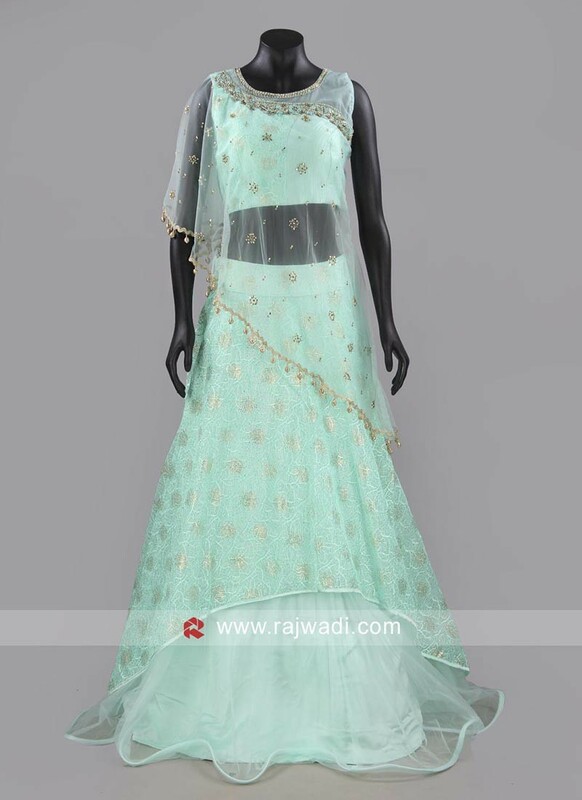 This designer and stylish poncho style Aquamarine Choli comes with layered Net Lehenga will give you a classy look. 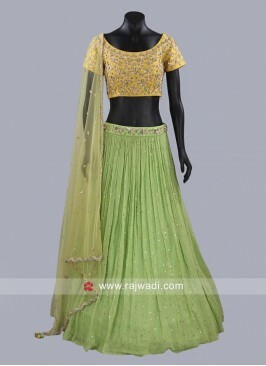 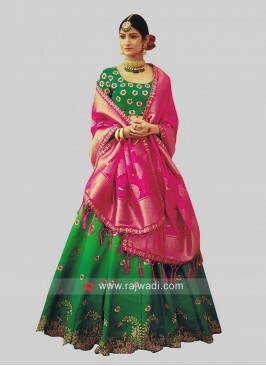 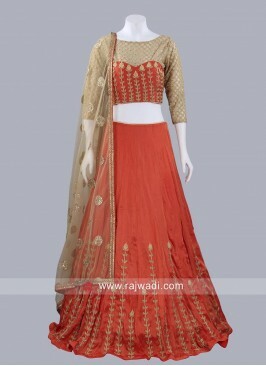 This stylish Choli set is perfect for reception or wedding party. 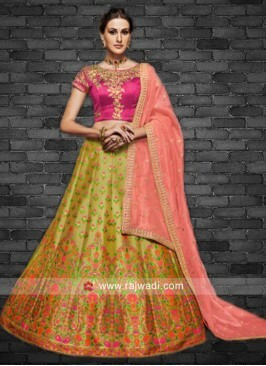 Light Pink Lehenga Set wi..
Art Silk Pink Heavy Lehen..